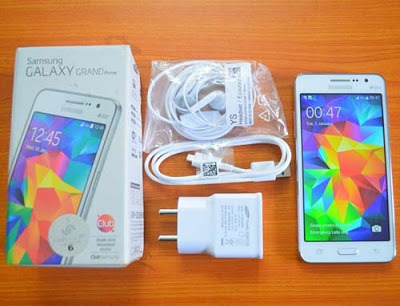 www.simplyasep.com Samsung Galaxy Grand Prime as one of the premium smart phones besides functioning as a verbal communication tool to make and or receive calls can also be used as a modem for internet connection via the Mobile Hotspot or WIFI feature. In general, specifications Samsung Galaxy Grand Prime Review has several main features, namely 5 Pixels front camera, 8 MP rear camera released in 2014 with the operating system used is Android OS version 4.4.4. The ability of the Li-Ion 2600 mAh Battery to accommodate two SIM cards at once. I have been using this type of Android since July 2016 until now. WIFI itself can in principle divide the internet network with a limited (limited) range and strength level (Strong). In this review I focus your mobile to be used as a modem that emits WIFI or hotspot for your own laptop. The following are practical tips on turning your Samsung Galaxy Grand Prime into a modem with the strongest signal for your own use on your laptop. Note: With these tips your Samsung Galaxy Grand Prime has become a MODEM as well as functioning to transmit internet signals for you to use s alone Do not share (various) with other users. Next you will be taken to a page that must be filled. Fill in the Network SSID according to your wishes (For example, Bambang-NET), the Security column has a default WPA 2 PSK to leave it like that.